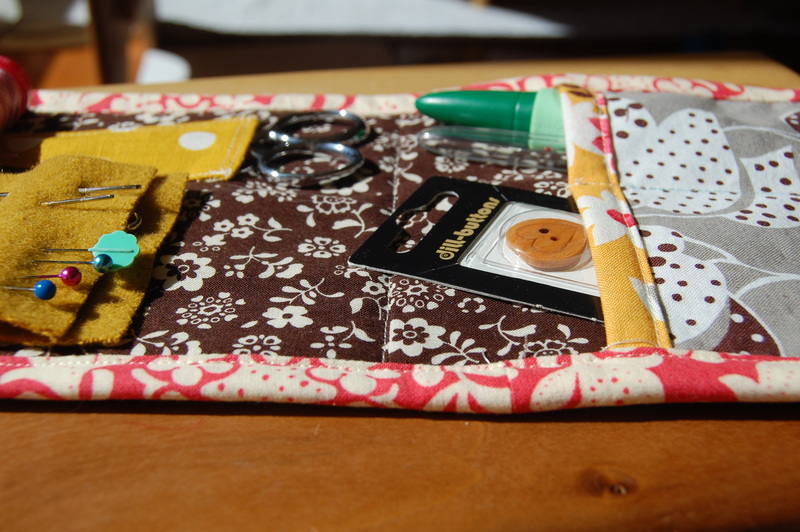 Travel Sewing Kit for Quilt Con and Beyond…..
As I have been starting to prepare for my trip to Austin for Quilt Con next week, I figured one thing that I was really in need of was a little travel sew kit. I found this great tutorial that was so easy and clear to follow. She has such a great overall blog that I was so happy to find through my google search. I love a little project that is quick and easy. 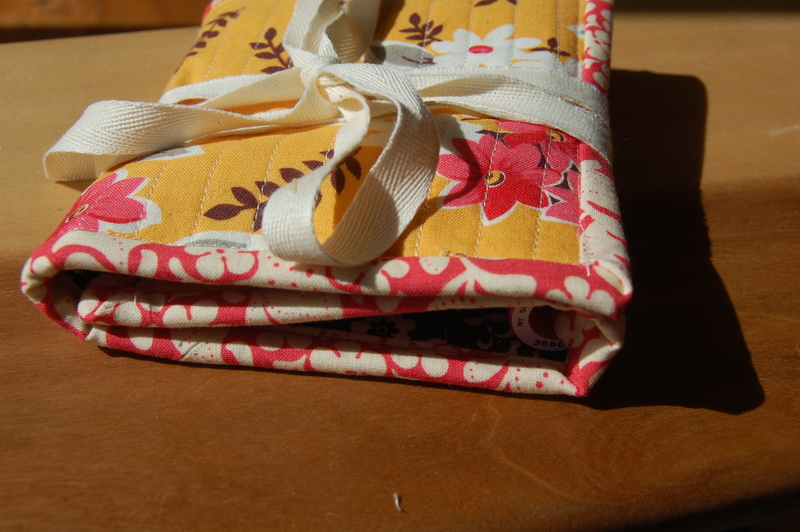 The girls and I spent the afternoon yesterday cleaning my our sewing room and organizing all the fabric. It felt so great to finally have some clean spaces to work on that I was inspired to stay up till midnight last night nearly finishing this little project. 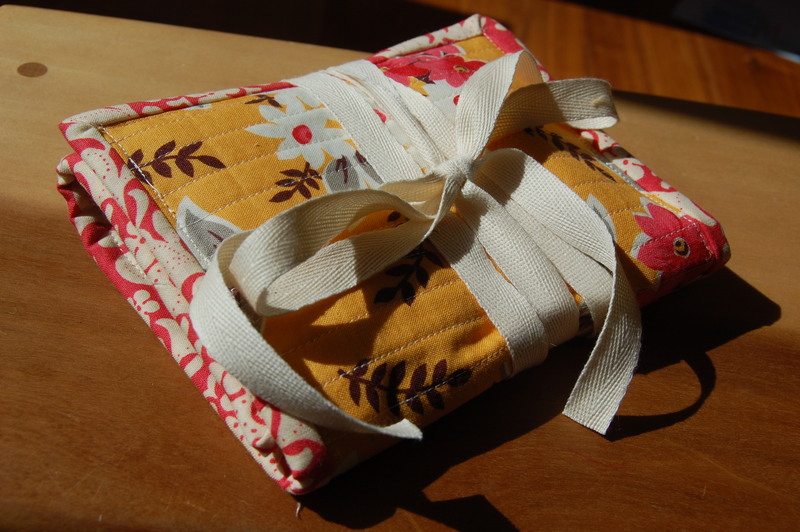 I really love how it turned out and it was so great to use up some more of my favorite scraps. 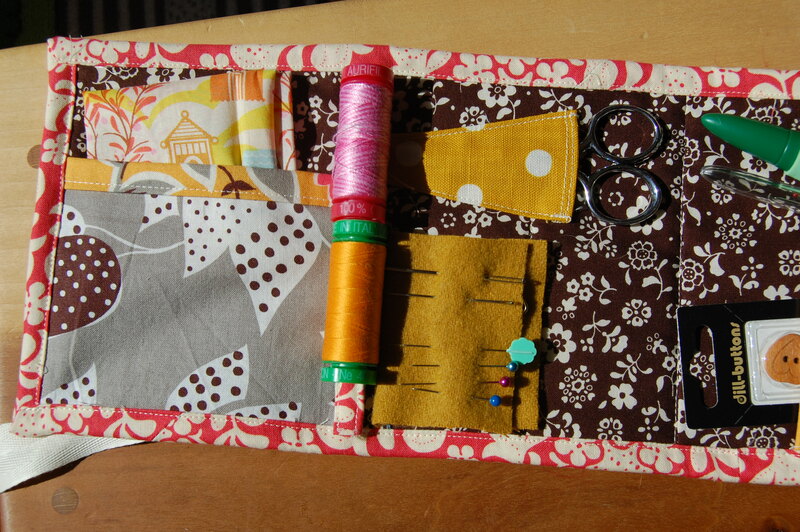 Now to figure out a new handmade tote for all my larger supplies needed for workshops I’ll be taking at Quilt Con. I’m getting really excited! Have a great week all! I’m linking up with Nicole’s Keep Calm And Craft On Tuesday over at Frontier Dreams! Yes! I like the blue green header!… and a great little grab to go bag too. Have a wonderful time. Thanks for the tutorial. I was thinking a Weekender for the larger supplies; but wasn’t sure if that was too bulky. Maybe AMH’s Art Student Tote would be better. Maybe I’ll run into you at QuiltCon. Karen- your case looks great! 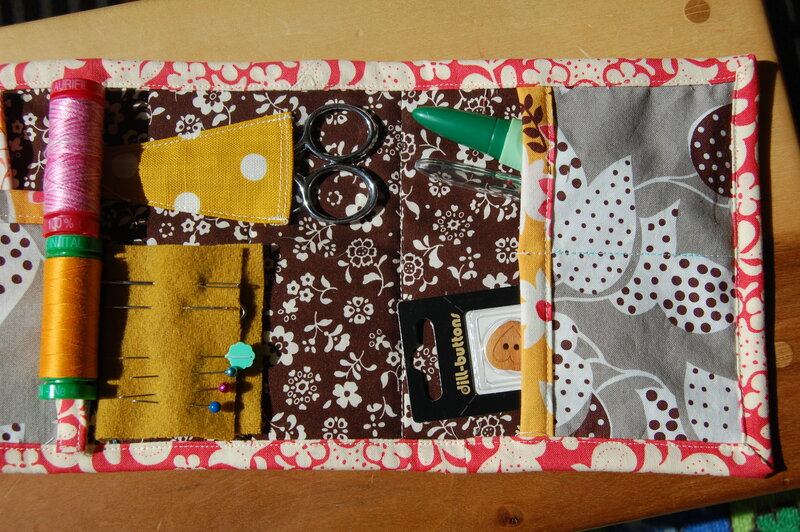 I think I will try to modify your idea to make a little case for my knitting supplies. Have a great trip! great travel kit!, thanks for the link to the tutorial.